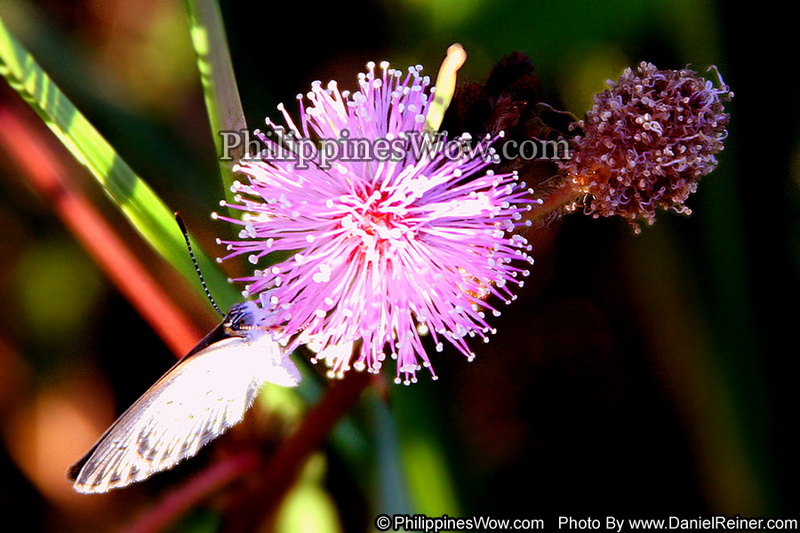 This is an image of a Philippine Moth on a Mimosa flower. This is a very small moth and so is the flower. I was rather far away when i took this image but was using a telephoto lens which makes the moth and mimosa flower look larger than it really is.